“Kayak Fishing”, the fastest growing segment of the fishing industry, shows no indications of slowing and that is to a large extent due to the boats themselves. A division of Legacy Paddlesports, “Native Watercraft”, has a variety of boat designs. 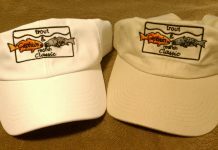 Featured here are two models in particular that have great applications for the kayak angler. For considering one of these designs for your outdoor and fishing uses, there are reasons to lean toward one of these options, or perhaps to even get both. Some kayaks are manufactured and designed with advanced thought and dedication to have something that’s just a little bit different than anything else offered. Native’s “Ultimate” model is offered in a 9-foot-five-inch; 12-foot-one-inch; and the 14-foot-five-inch length boats. The Manta Ray is a traditional “sit-on-top” kayak and is offered in the 11, 12 and 14 foot models. The Ultimate, a “specialty” boat, is a “hybrid” watercraft. They designed a layout that has the best features of a canoe combined with those of a kayak. 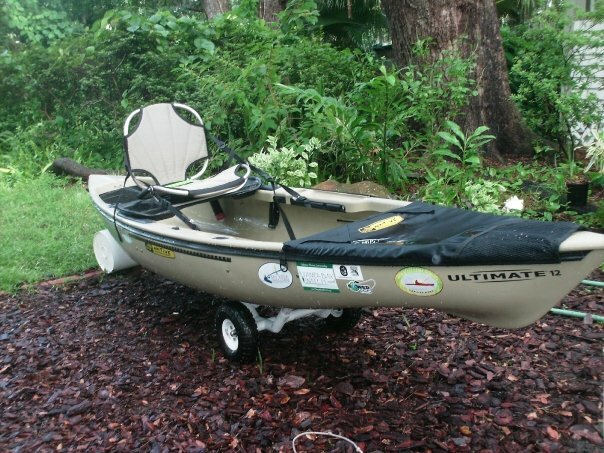 The end result is considered one of the greatest boats in the kayak fishing community. What are you going to do with the boat? Which boat is the most comfortable “fit” for you? Native has addressed both items very well. Their layouts are designed for the angler but they have set the standard when it comes to the “comfort factor.” The Ultimate’s “First Class” seat is as comfortable as any chair you’ll ever sit in. Anodized marine grade aluminum, with mesh material around the frame provides comfort but also drains, dries, and provides venting for hotter weather conditions. The adjustable lower bar provides multiple reclining options. The new Manta Ray 2010 seat upgrade offers a heavily padded seat similar to the “feel” of the Ultimate chair. The two models are significantly different in design. The Ultimate is not a “self draining” craft. People who choose this boat need to realize that when they are on the water, they need to be ready to remove water, whether it comes from a heavy rainstorm or the rare occurrence of “taking waves” over the rim. A hand-pump should be part of the standard rigging of the Ultimate, though a small cup or a sponge is all that is needed for most water removal. If you anchor in fast moving waters, make sure you can detach the anchor quickly. If you get your anchor hung on the bottom and you’re pulling on that rope this boat can fill with water spilling over the side. Detachment from the anchor will prevent this hazard. The Manta Ray kayaks are designed with scupper holes that have rubber plugs. Should water collect in that cockpit, it is easily removed by pulling those stops and letting the water drain out. Comparing the two boats for “space”, the Ultimate wins out in a landslide. With the Manta Ray there is forward hatch space and sizable “tank well” space to utilize behind the seat. Summarizing the space differences in the two boats: With the Manta Ray, you can take along a standard cooler or a crate-mate tackle system but not both. With the Ultimate watercraft an angler can take just about everything they own in the 14.5 or they can take along the crate, the cooler and a few “extras” on the 12-foot Ultimate. What length boat is best for me? For the “average” build person, the decision will probably go back to beg the question “what will I be doing in this boat?” For people who will be doing a lot of shorter trips or in tighter, more confined areas, a 11 to 12-foot boat may have many advantages. If the angler anticipates being in more wide-open areas or plans to regularly cover longer distances, the longer watercraft will translate to better speed than the shorter options. The Manta Ray 11 or the Ultimate 9.5 are options for someone who has storage space limitations. In other cases where length is not prohibitive in any way, people will lean toward the 12-to 14.5-foot options. Legacy’s President of the kayak fishing division, Jimbo Meador is a great fly fisherman. This photo below shows Jimbo stripping back fly line from the standing position. The incredible stability of this boat makes this a possibility. With that patented Tunnel Hull, people with decent balance can utilize this boat in this manner. Do not attempt this until you’ve tried it out in a safe situation. When you first stand in this craft, you will feel a tiny amount of “wobble” to the boat. That’s all there is. Once you know the “wobble”, you know the stability. 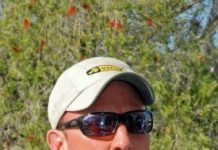 Standing to sight-fish improves the distance an angler can see. But use caution and good judgment: Falling out of any boat onto oysters or rocks can cause serious injury. The “Seat riser” makes standing a cinch. A foam block, offered by Native, mounts under the seat pinning it up under the gunnel. Raised up six inches, standing up and sitting down is simplified. Standing in the Manta Ray models is something that can be done. It is something that is only for those with superior balance. The Manta Ray is as easy to paddle as any kayak you’ll ever use. Paddling the Ultimate is a little different, with a lower seat and higher edge; the very “shortest-armed” folks might “scrape their knuckles.” That can be remedied with the previously mentioned seat riser. If the Ultimate boat is used in windy conditions, it paddles better with “weight forward.” The weight of a cooler or other equipment will hold the bow down better, creating a lot less bow “skiff slap” when there is some chop caused by the wind. The Manta Ray glides through the water. A comparison of the Ultimate versus the Manta Ray: Manta Ray wins in boat speed, particularly in windier conditions. Native has addressed and continues to assess advanced rigging components and ideas. The 2010 Manta Ray boats have a groove system for multiple plate options for attaching rod holders, or the “old school” Scotty rod holder bases can also be permanently attached to the boats, forward and also on flat mounting locations easily accessible behind the angler. The Manta Ray’s built-in paddle clip is standard on the 2010 model and keeps it safely stored and tightly up against the kayak. For the Ultimate watercraft, more customization is possible when addressing the rigging options. The Adapt-A-Trak accessory attachment system allows for the options or utilizing spray skirts, bottle, cup and paddle holders and a side-bag. After rigging my first U-14.5 three years ago I became aware that a full-length anchor trolley system was not going to be something I would have on future boats. The rare need for forward anchoring, “half trolley” from center to stern prevents trolley and anchor ropes getting under the tunnel. The spray skirts look sharp. Bow and stern skirts are great accessory items. It has been my experience that the bow skirt is the item one definitely should add to these craft. With the plastic batten bowing up the skirt, a wave going over the bow of this boat will send that water over the edges instead of entering the cockpit. In addition to their primary function of repelling water, the mesh at the top of a bow skirt is a great spot to insert the paddle blade for securing the paddle while not in use. With the spray skirt lays the only maintenance necessary on the boats: Periodically apply the space-age protectant “303″ to keep the skirt material looking new. In 2009, Ultimate watercraft began to be offered with a rudder system. The rudder isn’t a bad idea for a boat that “drifts perpendicular to the wind”. The tunnel hull makes this boat always drift at the same speed regardless of conditions. Adding the rudder, the Ultimate can be manipulated to travel with the wind or current at a faster speed and changes in the rudder position allow the angler to change the direction the boat faces without picking up the paddle. The Manta Ray 12 and 14 are both great kayaks with the rudder option. A shorter kayak, I believe that buyers of the MR-12 should choose to have the rudder. The MR-14 performs fine without the rudder but is certainly a great option. The normal drift speed of the rudderless Ultimate boat is ideal for drift fishing. Other fishing kayaks will drift much faster in comparison. The tunnel hull creating a same-speed drift is ideal for working artificial lures, eliminating the need for drift chutes or dropping anchor unnecessarily. For those who really want to reduce the weight of their watercraft, Native offers the Ultimate in the “Tegris.” The Ultimate series of boats in the regular plastic models are very manageable to handle. The Tegris material is incredibly light and also strong. The Native Owner’s Group is a collection of Native Watercraft owners, forming a community to share experiences as well as information on ways to rig and use their watercraft. A free web site forum, the NOG can be accessed and joined by people who own the boats or may be interested in owning the boats in the future.